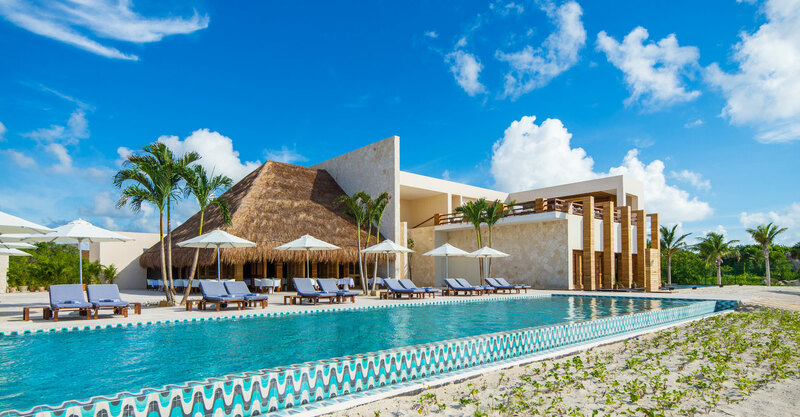 Explore Chablé Maroma, the world’s newest luxury wellness resort centered around a natural spring fed cenote hidden in the Riviera Maya. 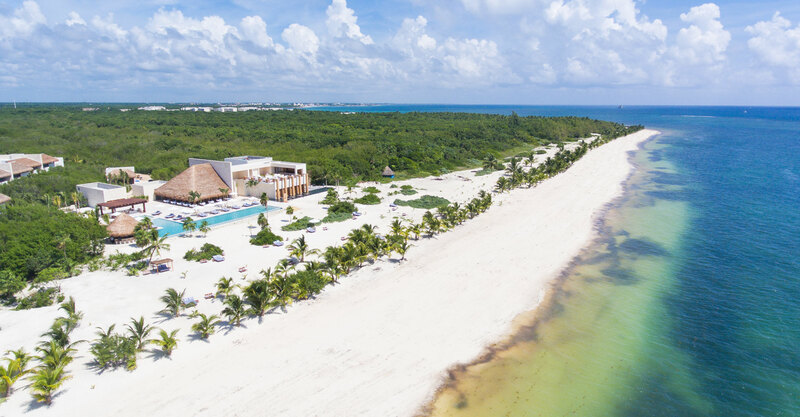 The brand new sister property of Chablé Yucatan has gone and stretched herself out on the beach. 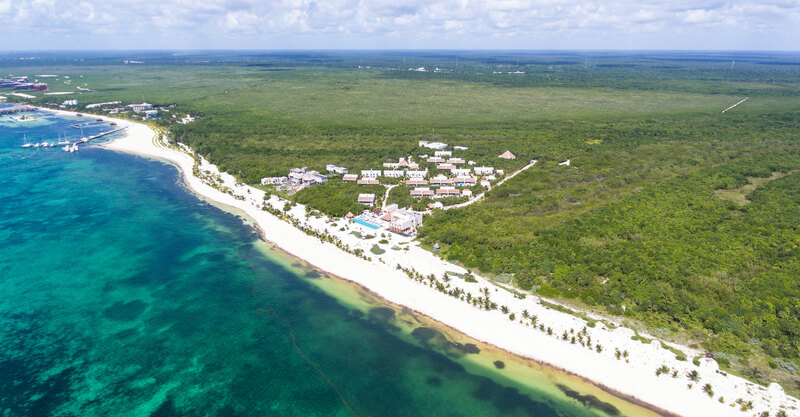 And not just any beach, we’re talking 650 feet of pristine Riviera Maya paradise. 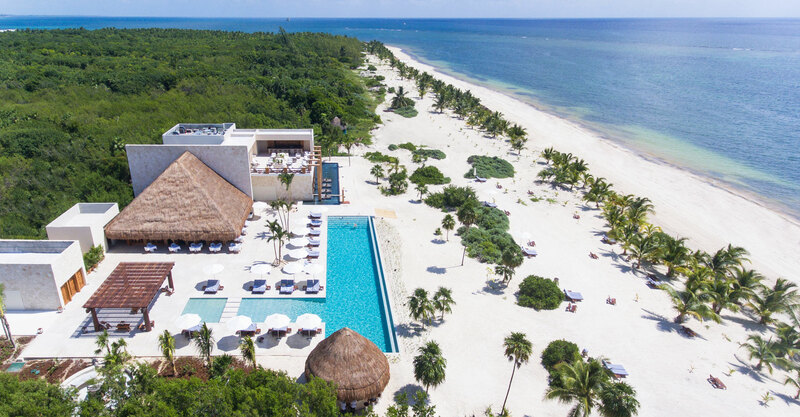 Just about a 15 minute drive from Playa Del Carmen, find yourself immersed in secluded eco-luxury to maximum With a landscape designed to preserve the environment, a blissful spa embracing ancient and contemporary wisdom, and a locally-sourced culinary program led by one of the world’s best chefs, this is the Kind Hotel you’ve been waiting for. 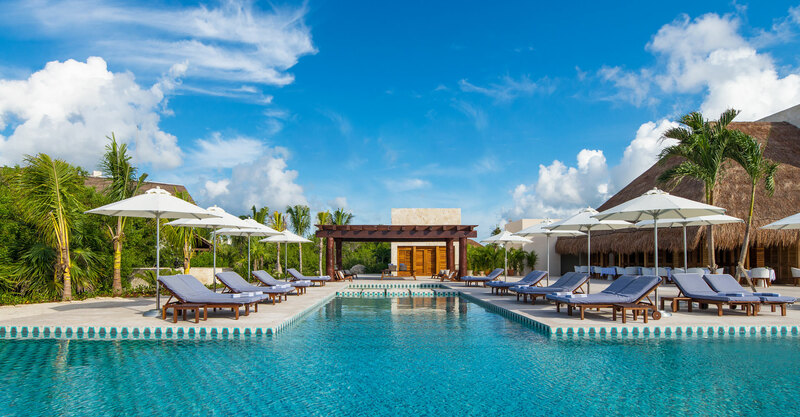 Live like Maya nobility in the 70 luxurious villas set in independent casitas. 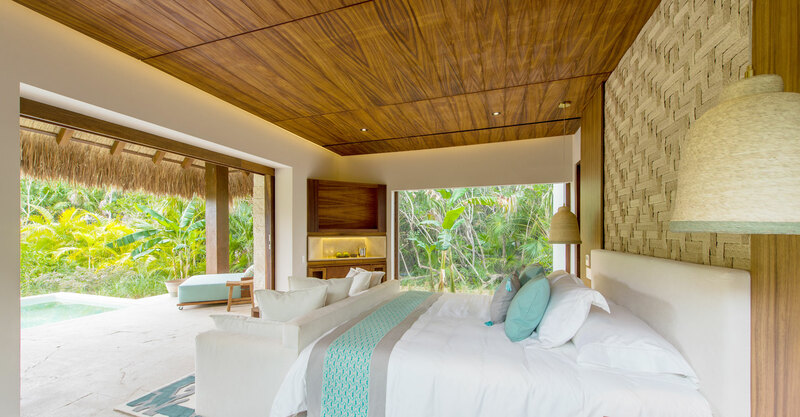 Each energy efficient villa is designed with the tropics in mind as glass walls leave you feeling wrapped with the sensuality of the surrounding jungle. 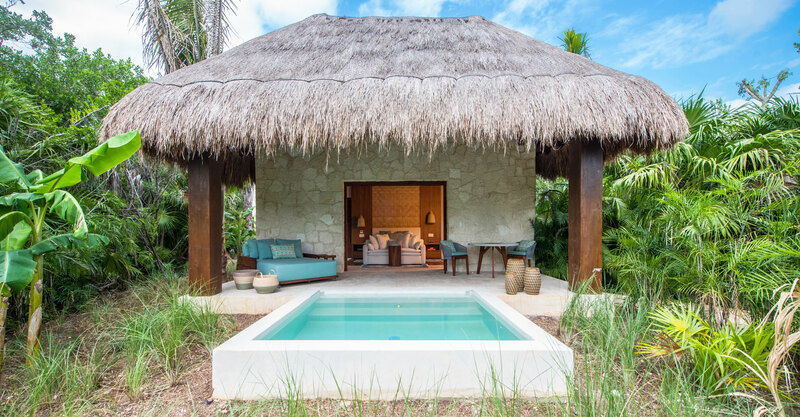 Outside find private pools, terraces and moon showers. 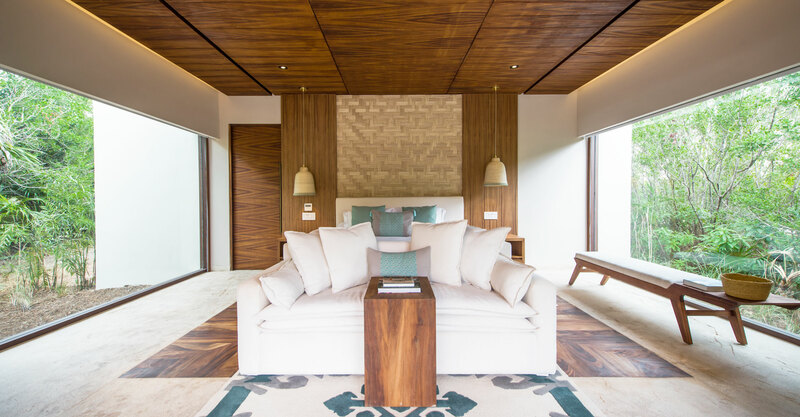 Inside, soak under his and her rain showers and melt into 600 thread-count linens woven in Europe and hand-sewn in Mexico by local artisans. Speaking of locally, the palm woven baskets are by Ayotzinapa, which provides well-paid work for local artisans living in risk. 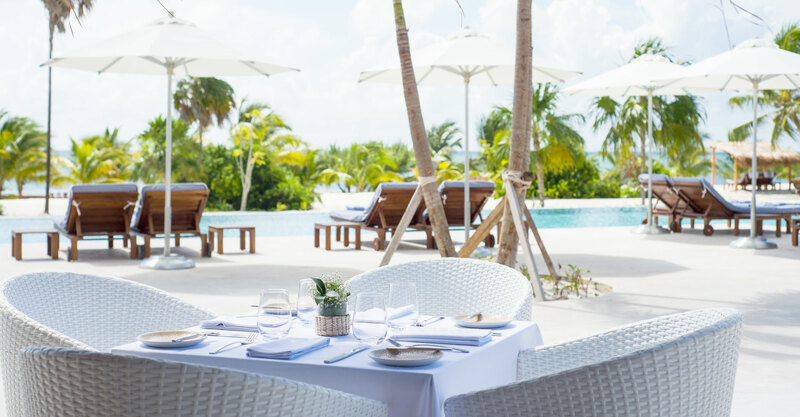 Dining at Chablé Maroma is akin to appreciating fine art in a museum. Thankfully here, you can eat the art originated by Jorge Vallejo, widely regarded amongst the world’s best chefs and an artist in every sense of the word. 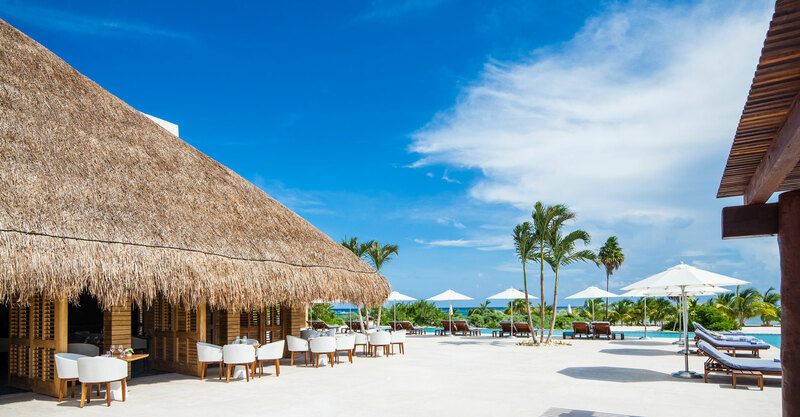 While Chef Vallejo oversees the operation, Executive Chef Luis Quiroz expands its artistic vision in the resort’s three restaurants. Expect daily and seasonal menus using only the highest quality locally sourced ingredients. Naturally, 100 percent vegan, vegetarian, gluten free and lactose free options run a bounty in the resort. Bu’ul is the Maya word used to name the field’s beans which, along with corn have been the centuries long foundation of Mexican cuisine. 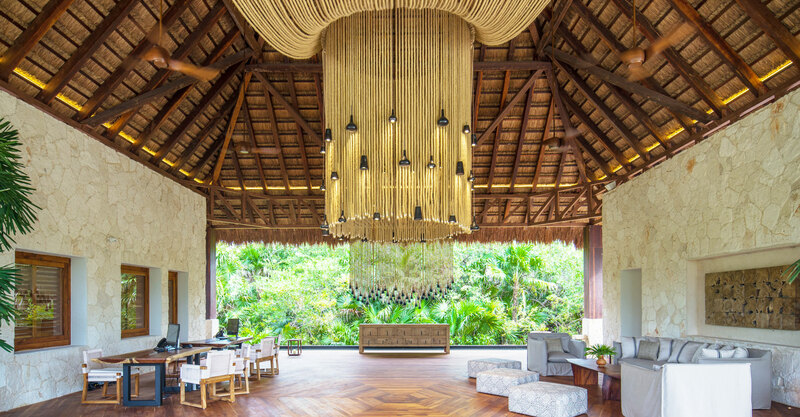 In this handsome space, indulge in the flavors of southern and central Mexico. Chef Quiroz works closely with local fishermen and producers to freestyle a menu that changes with the tides and the seasons. Surely an experience to be had. Did we mention Bu’ul boats are one of the most spectacular wine cellars in all of Mexico? Raw Bar by Bu’ul is the spectacular terrace concept that pairs the fresh bounty of the sea with seasonal cocktails and breathtaking scenery. Kaban Restaurant is your all-day culinary depot set in a harmonious interior that flows with the natural exterior. Nosh on fresh local flavors barefoot if you so please. 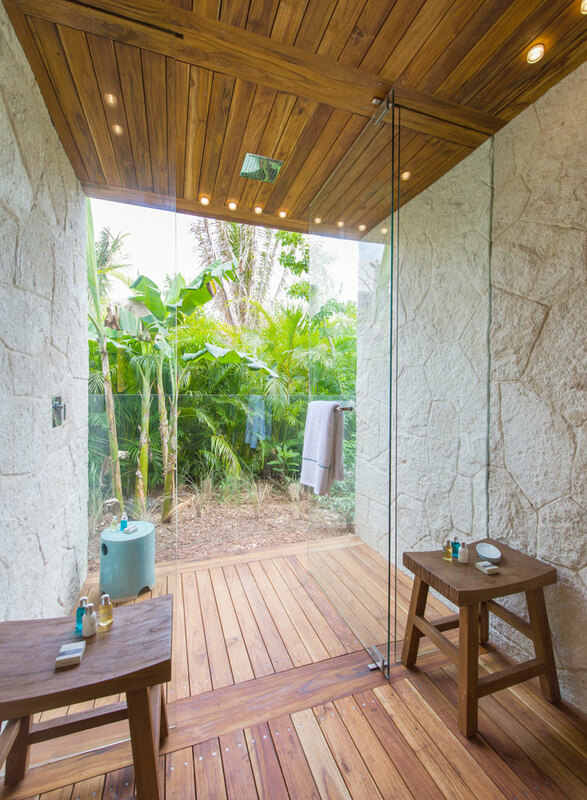 The picture perfect Spa at Chablé Maroma is an organic space that springs from nature and uses local stones and flowing water to facilitate the release of energy blockades. 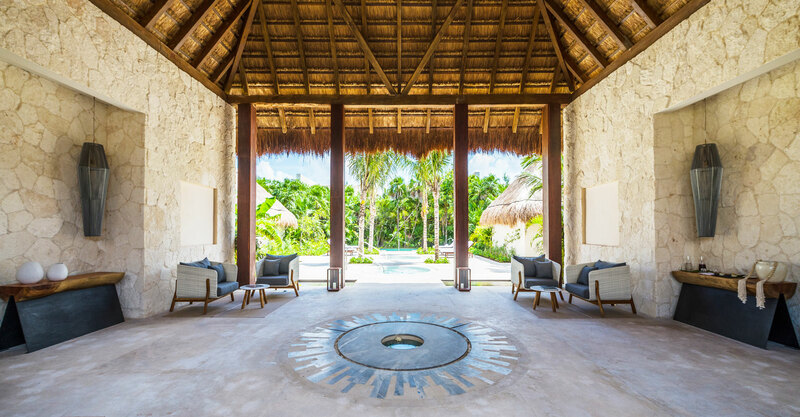 The spa aims to redefine wellness using treatments that honor ancestral Mayan restoration techniques. Rejuvenate with a 60 minute mind-body balancing massage designed with active lifestyles and the body conscious in mind to soothe away that stiffness. Enjoy the 24 hour state-of-the-art fitness center and be sure to namaste as much as you like on the yogi platform by the sea. 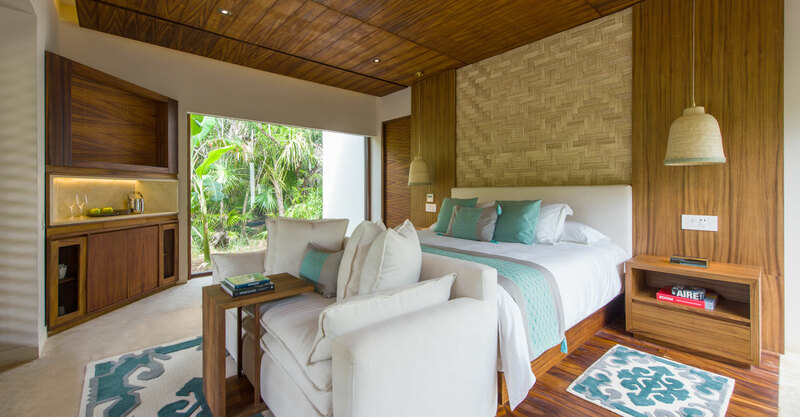 The stand alone one bedroom Villas and two bedroom Villas are spacious with king-sized beds or two queens. 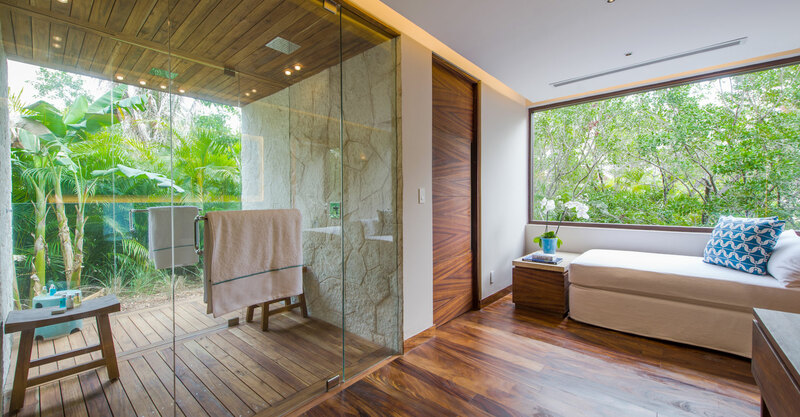 Find such outdoor luxuries as a private pool, large terrace perfect for lounging and an outdoor shower. 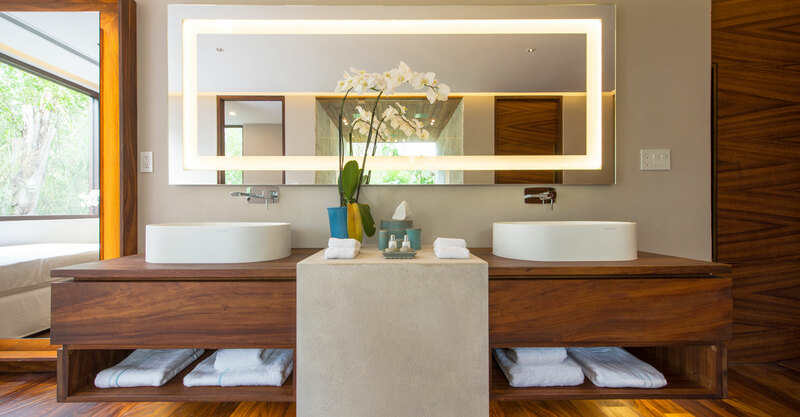 Indoors, indulge in amenities like iPad controlled rooms, Wi-Fi, double rain showers and plant-based bath products. 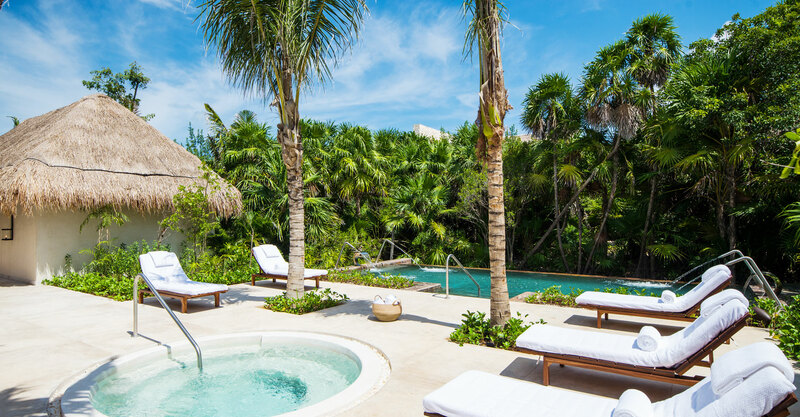 The Presidential Villa is your home away from home if you’re used to sweeping tropical views and unbridled elegance. 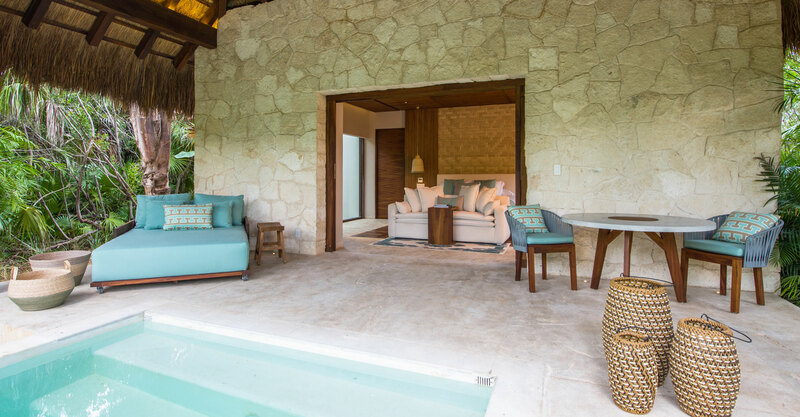 Find three bedrooms with two kings and one double queen, an indoor/outdoor living and dining spaces, a large private terrace, outdoor shower and a private pool. 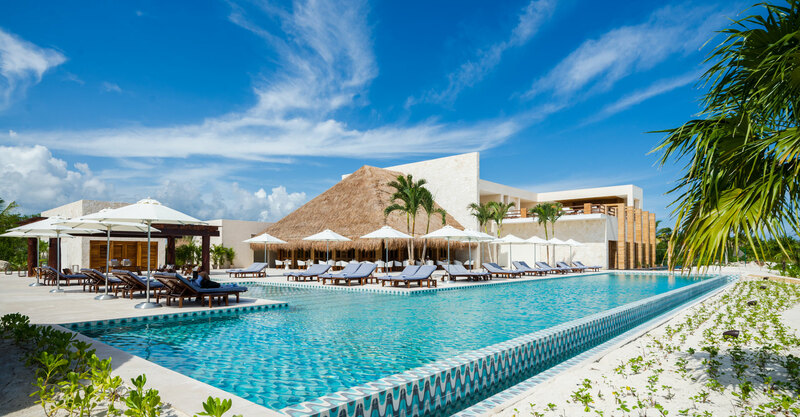 Roughly 35min drive from CUN. Renting a car is recommended and parking is free at the resort. At your wish, concierge can hire a private transfer that will be waiting at the airport for an additional cost.